I’m Christian and I’m 14. My favorite ice cream is vanilla. 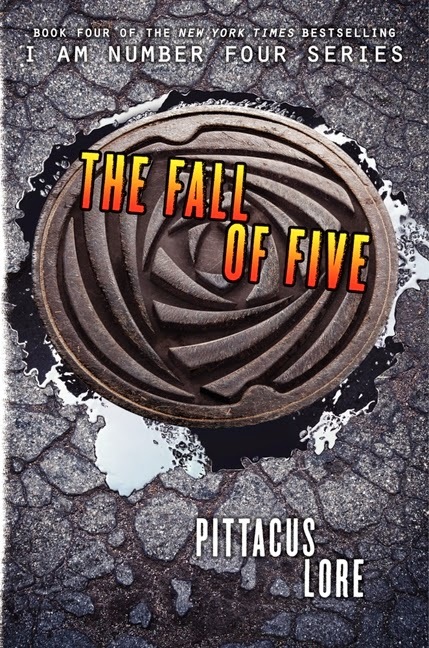 I read The Fall of Five by Pittacus Lore. Because it was the fourth book to the I Am Number Four series. I would try to find the rest of the garde to win the war for mankind. The garde is the group of aliens that look like humans and are trying to save the human race. It’s a suspenseful, yet thrilling, book full of science fiction. It doesn’t really have anything to do with the book. Yes, because I have already read three other books about these characters. No, not really. They (the series) are pretty different. Why did Eight have to die? John Smith—Number Four—thought that things would change once the Garde found one another. But he was wrong. After facing off with the Mogadorian ruler and almost being annihilated, the Garde know they are drastically unprepared. Now they're hiding out in Nine's Chicago penthouse, trying to figure out their next move. And when the Garde receive a sign from Number Five—a crop circle in the shape of a Lorien symbol—they know they are close to being reunited. But could it be a trap? Time is running out, and the only thing they know for certain is that they have to get to Five before it's too late.